Wrapper script for checking out and updating source code frommultiple SCM repository locations. cleanup Cleans up allworking copies. config Create a.gclient file in the current directory. diff Displayslocal diff for every dependencies. fetch Fetchesupstream commits for all modules. help Prints listof commands or help for a specific command. 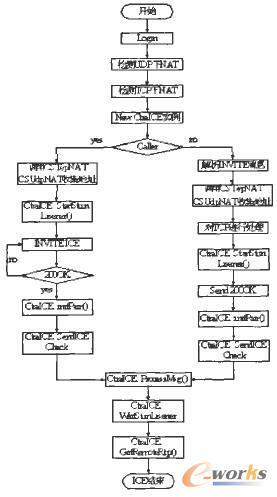 pack Generate apatch which can be applied at the root of the tree. recurse Operates on allthe entries. revert Revert allmodifications in every dependencies. revinfo Output revisioninfo mapping for the client and its dependencies. runhooks Runs hooks for filesthat have been modified in the local working copy. status Showmodification status for every dependencies. update Alias for thesync command. Deprecated. Prints list of commands or help for aspecific command. used up to three times for morelogging info. --spec=SPEC create a gclient file containing the provided string. Package nss was not found inthe pkg-config search path. Package gconf-2.0was not found in the pkg-config search path. gyp: Call to'pkg-config --cflags gconf-2.0' returned exit status 1. Package nss wasnot found in the pkg-config search path. //PeerConnection, MediaStream and media tracks. //socket and network manager factory classes for networking. Adds support for Noise Suppression (NS), Automatic Gain Control (AGC) and Echo Control (EC). Receiving side VAD is also included. Enables full duplex VoIP using G.711. NOTE: This API must always be created. Adds support for call reports which contains number of dead-or-alive detections, RTT measurements, and Echo metrics. Adds non-default codecs (e.g. iLBC, iSAC, G.722 etc. ), Voice Activity Detection (VAD) support. Adds support for external media processing and enables utilization of an external audio resource. Adds file playback, file recording and file conversion functions. Adds sound device handling, CPU load monitoring and device information functions. Adds external transport, port and address filtering, Windows QoS support and packet timeout notifications. Adds support for RTCP sender reports, SSRC handling, RTP/RTCP statistics, Forward Error Correction (FEC), RTCP APP, RTP capturing and RTP keepalive. Adds RTP header modification support, playout-delay tuning and monitoring. Adds speaker volume controls, microphone volume controls, mute support, and additional stereo scaling methods. Basic functionality for creating a VideoEngine instance, channels and VoiceEngine interaction. Adds support for capture device allocation as well as capture device capabilities. Adds non-default codecs, codec settings and packet loss functionality. Adds support for using external codecs. Adds support for file recording, file playout, background images and snapshot. Adds effect filters, deflickering, denoising and color enhancement. Adds send and receive functionality, external transport, port and address filtering, Windows QoS support, packet timeout notification and changes to network settings. Adds support for RTCP reports, SSRS handling RTP/RTCP statistics, NACK/FEC, keep-alive functionality and key frame request methods. 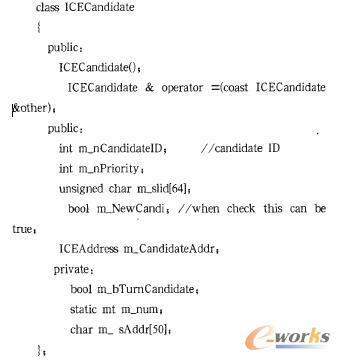 // The Following steps areneeded to setup a typical call usingJsep. // an object that implementsthe PeerConnectionObserver interface. // and add it toPeerConnection by calling AddStream. // 4. Create an offer andserialize it and send it to the remote peer. // with the remote answer. // the peerconnectionby calling AddIceCandidate. // The Receiver of a call candecide to accept or reject the call. // This decision will betaken by the application notpeerconnection. // 1. 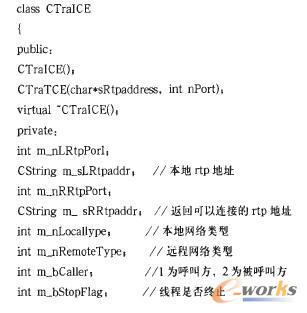 CreatePeerConnectionFactoryInterface if it doesn't exist. // 2. Create a newPeerConnection. // 6. Provide the remote icecandidates by calling AddIceCandidate. 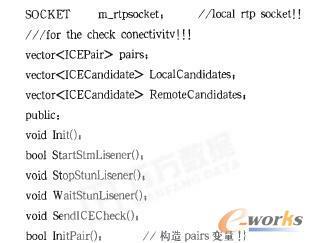 // function OnIceCandidate.Send these candidates to the remote peer. //! Callback to deliver stanzas to an Xmpp application module. //! Process the given stanza. //! The handler must return true if it has handled the stanza. //! the next registered handler. // Attempts to send the given packet. The return value is < 0 on failure. // Signalled each time a packet is received on this channel. 我们来分析结果：如果B收到了，那也就意味着只要IP相同，即使port不同，NAT也允许UDP包通过。显然这是restrict cone NAT。如果没收到，没别的好说，port restrict NAT. scheme = "stun" / "stuns"
mystun: STUN server and client library from the iptel.org guys. Old but mature. License: GPL, Homepage:http://developer.berlios.de/projects/mystun/. You have to download the file via CVS. Vovida STUN server (stund): STUN server and client library/application for Linux and Windows from the Vovida guys. Old but mature. License: Vovida Software License 1.0, Homepage:http://sourceforge.net/projects/stun/. WinSTUN: A Windows STUN client, part of the Vovida STUN server (see above). A nice application to test your NAT box. Homepage: http://sourceforge.net/projects/stun/files/WinStun/. reTurn: STUN/TURN server and client library, part of the resiprocate project. Server application is provided as well, but it seems incomplete (authentication). License: 3-clause BSD license. Homepage:http://www.resiprocate.org/ReTurn_Overview. restund: STUN/TURN server, supports authentication against a mysql DB. License: 3-clause BSD license. Homepage: http://www.creytiv.com/restund.html. TurnServer: STUN/TURN server. License: GPL3. Homepage: http://turnserver.sourceforge.net/. # A list of available STUN server. Numb is a free STUN/TURN server. TurnServer - OpenSource TURN server. AnyFirewall - STUN, TURN & ICE library. Libnice - STUN, TURN & ICE library used in Pidgin, GNOME, MeeGo, etc.